Kazakhstan is the world’s largest landlocked country and the ninth-largest country in the world. Historically, Kazakhstan has been inhabited by nomadic tribes. Kazakhstan has two official languages—Kazakh and Russian. More than half the people speak Kazakh, and most of the people speak Russian. Yelena has every reason to be distressed. She lost her job because of the Sabbath last year. After a period of unemployment, she found work as a low-paid janitor. 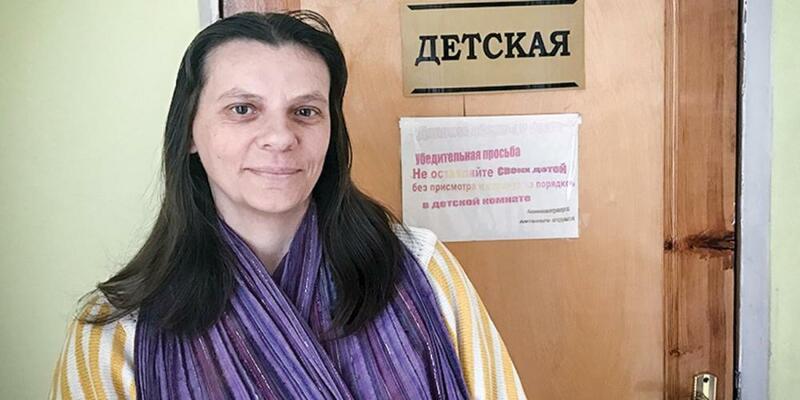 Now she is receiving death threats because of her desire to help another woman keep the Sabbath in Kazakhstan. But Yelena is visibly happy. “I love to serve God,” she said. But the company changed its work schedule in 2016, citing economic conditions, and Yelena had no choice but to leave. After two months of unemployment, an Adventist friend helped her find a part-time janitorial job at a pawnshop. Yelena also received training as a massage therapist, allowing her to volunteer at a community health center operated by her church. Yelena’s work as a massage therapist led her to Grandmother Faina, as she affectionately calls the 75-year-old woman. They met through a church member, and Yelena agreed to give the elderly woman 10 daily sessions for free. The 10 days passed quickly. At the last session, Yelena invited Grandmother Faina to study the Bible together. The woman agreed, and the two began to meet once a week to go through the 24 Bible lessons. Grandmother Faina accepted what she heard, and her lifestyle began to change. She sought to observe the Sabbath. When she told her adult son, Pavel, about her new faith, he was furious. Pavel, a divorced father who lives alone with his mother, called church members to complain. Pavel threatened to go to court if the Bible studies continued. Several days later, when his mother refused to stop the lessons, his threats grew more serious. He told Yelena that he would kill her if she set foot in the house again. The Bible studies stopped for two weeks. Church members prayed about the situation. It was decided to resume the Bible studies by phone. With only two Bible lessons left, the son lost his job and refused to leave the house. The lessons stopped for two more weeks. The church members prayed that the son would find work. “God heard our prayers,” Yelena said. Pavel found work and the Bible lessons resumed. Yelena expressed excitement at seeing how God would lead next. Yelena said it can be difficult to reach people in the world with the gospel. But she said she was willing to do whatever it takes—even losing her job and working for low wages—if it meant that she could obey God and share her faith. Part of this quarter’s Thirteenth Sabbath Offering will help fund the opening of the first Seventh-day Adventist preschool in Yelena’s hometown of Pavlodar, Kazakhstan.